The field of construction as well as the rate of people joining it is expanding like fire. Many people from different corners of the world have opted as their main source of living. The large number of people and limited work has created a cut throat competition among them. It is very difficult in such a competition to make position or survive in the market. People who look for hiring worker always opt for those who have a greater impetus than others. They desire their place to build by more competent and efficient worker. If you desire to come in demand of such people and want to augment your skill and competence, then CSCS tests are the best option available for you. The biggest thing of CSCS scheme is that it not only sharpens the skills of workers but also make them more responsible towards the place and colleagues they work with. The scheme begins with CSCS test then it is the CSCS card and finally training. It is very essential to clear CSCS test in order to get hold on your desired CSCS card. The test is a means or way of judging the competence and skill of workers. It involves plethora of multiple-choice questions which are framed to judge the awareness of worker regarding health, safety and environment at construction site along with his personal skills. There are various places where these tests are conducted and people can take it as per their own comfort and convenience. 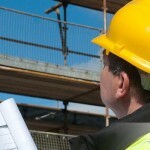 There are plethora of companies which offer this CSCS scheme to people. 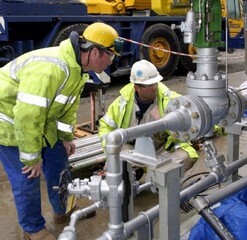 They undertake all responsibilities from taking up of the test to the getting hold on required CSCS card. They fix places where the test is to be conducted. All study material, revision material and even mock tests are conducted by these companies in order to make workers ready before they take the test. They also aid workers in case they have any confusion or doubt regarding the fact that which card would be best suitable for them as per their field and experience. It also teaches workers to be prepared and on how to deal with situations of accidents and misfortune at these sites. CSCS tests are like goldsmiths who polish and augment the shine or competence of workers. They also reduce or minimize the rate of accidents or misfortune situations taking place on construction sites. It is very affordable to take up the test and get your desired card. The companies conducting these tests take great care of limited financial resources of their workers and provide all facilities within it. Some of the companies also provide the facilities of training after completion of the whole process. They also aid you in searching a competent construction job for you in different parts of the world. 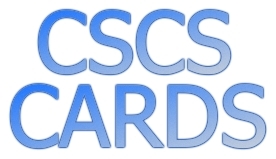 CSCS cards have become compulsory in many parts of the world. Therefore, every worker must opt for it as soon as possible and gain hefty amount of packages and success in his life as per his own dreams and desires.